Each of these areas require “Field Work”, but rest assured that Silecio Safety consultants have the knowledge and experience to conquer any obstacles in your way. Field work includes services such as assessing risks and hazards associated with your work, site inspections, hazard reporting, incident investigations, as well as any on-site observational services. Field work is one of the most important tasks when implementing your health and safety program. Silecio Safety representatives are experts in these areas and we pride ourselves on the ability to communicate the responsibilities, tasks, and methods associated with field work. Contact us by phone 1-855-852-2199, email info@silecio.com or fill out this form, and one of our health and safety professionals will contact you shortly. One of the most frequent problems we hear about from construction companies is that they have many safe work practices or safe job procedures but they don’t understand how to assess for risk. Other constructors have no H&S program and don’t know where to start. Proper hazard assessments are the only way to assess your work for hazards, determine a hazard rating and implement controls so your workers have the knowledge, equipment and training to work safely. Silecio Safety provides two avenues for consulting services regarding hazard assessments and controls. First, we can work with you. 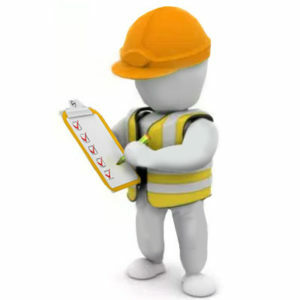 That is, we will come on-site and use a standardized form to train your H&S coordinator/manager/rep. to recognize hazards, record them, assess for risk and recommend controls. This will require one or two site visits from a Silecio Safety consultant as well as a willing and able company H&S person. The second way Silecio Safety can provide consulting for hazard assessments and controls is to come on-site, observe and communicate with workers and provide hazard assessments to your company. Using a standardized form, a Silecio Safety consultant will visit your job sites and perform hazard assessments on the work they observe. This option can be useful if your company is too busy to send a H&S person to learn how to perform a hazard assessment. Proper hazard assessments are the backbone to creating a H&S program that accurately defines the risks involved in every operation and the controls required to work safely. Let Silecio Safety assist you in achieving your safety goals today. What types of workplace inspections are required? How many inspections will we have to do? Are there standardized forms available? Daily? Monthly? Yearly? How do we know how often we should be filling these inspection forms out? Our Silecio Safety consultants can answer all of these questions and more. Depending on your type of work, number of employees, number of sites and other variables, the amount of inspections your company needs to perform can vary from 1 or 2 per day to over 100. How do you know if you are filling out the necessary documentation to indicate you’ve satisfied all of your legal requirements? 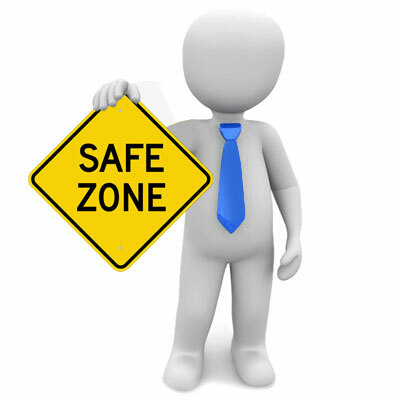 Are you performing inspections according to the same frequency as your H&S Program suggests? At Silecio Safety, our consultants are inspection experts. Silecio Safety consultants will identify the types and frequencies of any inspections required by your company according to Occupational Health and Safety (OHS) Act and Regulations as well as your company’s H&S program. After obtaining this knowledge, Silecio Safety will create standardized forms for your workers, supervisor’s, H&S reps., management and any other employees who will be required to perform site inspections. Furthermore, our H&S consultants would happily come to your jobsite and train your employees on how to conduct a proper inspection and recommend best practices for documenting and recording your findings. When was the last time your saw, drill, or fire extinguisher was inspected? Is all of your equipment being maintained according to the manufacturer’s requirements? Does your company follow a preventative maintenance schedule for all equipment in your inventory? Do you have an equipment inventory? If your answer to any of these questions is “no” or “I don’t know”, Silecio Safety is here to help. Using modern technology and experience, Silecio Safety consultants have learned a tried and true method in developing an equipment inventory, preventative maintenance schedule, and a record keeping system that is sure to meet any legislative requirements as well as keep your workers safe and your equipment operational. Using adhesive stickers with a unique set of barcodes for your company, Silecio Safety can tag all of your equipment, giving each item a specific asset tag and asset number. A picture of each item as well as a description will be sent to an online database (Asset Tiger), which will be the basis of your equipment inventory. The third step in preventative maintenance is the creation of a maintenance schedule. This is easily done by finding the manufacturer’s maintenance requirements in the equipment/tool’s manual and scheduling maintenance on the online database (Asset Tiger). Silecio Safety will gladly help you through the entire process until you have a preventative maintenance program of which you can be proud. You may have heard that the construction industry is “going digital” or that companies have “gone paperless”. Silecio Safety believes in staying ahead of the curve and have invested in becoming H&S technology experts. Taking the leap from traditional form filling and record keeping to a technologically advanced system can be intimidating, but don’t worry because Silecio Safety has your back. Transitioning from paper to paperless may seem difficult, but it actually brings about many advantages. 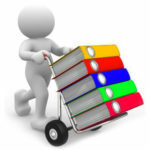 So, what does a paperless system actually look like? Well, Silecio Safety can take your entire H&S program and put it online, accessible to any worker who has authorization on their cell phone or tablet. Not only will they be able to review the program, safe job procedures, safe work practices, Safety Data Sheets (SDS’s), tool box talks and other safety resources, workers will also be able to fill out equipment inspections, site inspections, job hazard analyses, incident investigations and any other form or document that needs to be completed and signed. All training documents can be added as well, so no need to carry wallet cards or scrounge through employee files looking for important training certificates that can be the difference between going to work or going home early. Lastly, any signed forms are automatically filed by location, worker, or type of form. This not only makes record keeping a breeze, but also provides real-time communication of equipment problems, defects, or any other H&S issue between the workers and your H&S person. Let us show you how to take full advantage of going paperless. Silecio Safety consultants can provide training to teach your workers how to take pictures, flag items, fill out corrective action forms and navigate the website and app (Site Docs) to help your H&S program run like a well-oiled machine. Silecio Safety consultants are very experienced with the CORtm Audit and therefore understand not only the importance of organizing and keeping records, but that doing so is easier said than done. 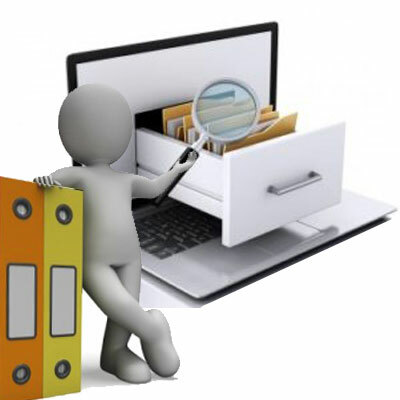 For this reason, Silecio Safety strongly recommends the implementation of technology (Site Docs and Asset Tiger) to assist in the organization and filing of records. We realize that technology isn’t practical for everybody and is not necessary to have success, but we do stress that this technology, combined with our knowledge and experience, will create a record keeping system of which you will be proud. 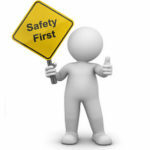 Silecio Safety will inform you on what forms need to be filled out, how often, and by whom. We have the ability to create any specific forms or documents you need and the expertise to train your workers so they are proficient in their H&S duties. Whether or not you decide to go paperless, Silecio Safety can help you organize records, create a system that is accessible, and help to see trends in your internal responsibility system.